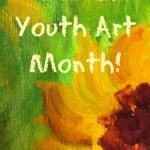 March is National Craft Month! I love crafting in many forms and have led craft workshops at the library system where I work. Apart from reading, crafting is one of the few things that I can get completely lost in. I think for me it started in middle school. I had a bit of a rough time in eighth grade (a situation partly of my own creation), but always felt grounded by our arts and crafts class, where we explored several different art forms without being judged on the â€œqualityâ€ of our finished products. In high school, I took a class in drawing and painting, sure at first that I would just eke by with a barely passing grade. Instead, I ended up very pleasantly surprised at the sketches that I was able to make as the result of patient instruction and a little concentration. As an adult I’ve taken jewelry-making and other craft classes, and have realized that crafting for me is almost a form of meditation, and I need to make more time for it in my life. 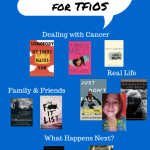 So to inspire myself as much as you, our Hub readers, I’ve put together a list of YA crafting guides and YA novels whose main characters craft in some form. 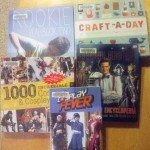 The Hipster Librarian’s Guide to Teen Craft Projects by Tina Coleman and Peggy Llanes: This is a very clearly written crafting guide that I’ve used while preparing craft workshops for the library. It’s a wonderful book for anyone — teens, librarians and anyone else interested in crafting. The authors detail how to make twelve projects, some of which include rubber band bracelets and necklaces, vinyl totes, t-shirt reconstruction, melted crayon bookmarks and fabric collages. With each project, you know exactly what you’re getting into because the difficulty level, time to allow and even degree of messiness is always indicated. 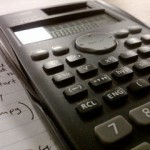 After each project, the authors also provide ideas for variations on it. And there are printable instruction sheets for several projects on the American Library Association Web site! 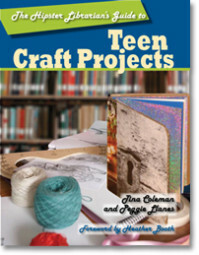 The authors have also published The Hipster Librarian’s Guide to Teen Craft Projects 2, with twelve more craft ideas. Junk-Box Jewelry: 25 DIY Low Cost (or No Cost) Jewelry Projects by Sarah Drew: I had to mention this nicely illustrated guide because jewelry-making is close to my heart, and this art form makes for great quick crafts. Drew, the author of this guide, is actually a teacher at a jewelry school and she specializes in recycled jewelry. What I love about this guide is that the projects can be made with things you already have lying around your house or can buy very cheaply at local thrift stores, garage sales or hardware stores. Drew explains how to make projects which include pebble pendants, magazine beads and charm bracelets made from screws and other toolbox items. The projects are great for beginners and intermediate crafters alike. Drew also discusses where to buy the basic tools that you will need to make the projects, and for those interested, how to potentially sell your finished products. 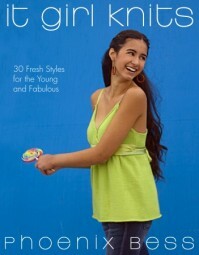 It Girl Knits: 30 Fresh Styles for the Young and Fabulous by Phoenix Bess: I love this guide first of all because it is easy to follow, but also because it was actually written by a sixteen-year-old, Phoenix Bess. As the publisher’s summary notes, this is not a knitting guide for your â€œGreat Aunt Mabel.â€ It is by a teen and for teens. In this guide, Bess teaches new knitters how to make a diverse array of projects including a short jacket, beaded bandana, purse, pencil skirt, halter top and shorts. Most projects are presented at the beginner level. 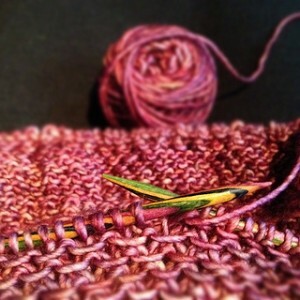 Bess provides advice on what kinds of yarn to use, a yarn color combination chart and tips on how to wear each piece of clothing that you make and add matching accessories. She also lets readers know where to purchase the items needed to start knitting. 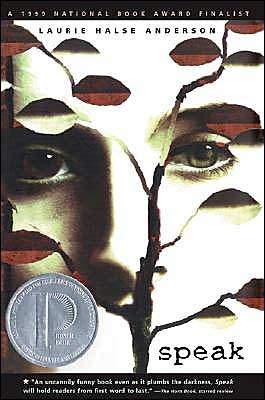 Speak by Laurie Halse Anderson: Although main character Melinda’s projects in this novel (2000 Printz Honor, 2000 Quick Picks for Reluctant Young Adult Readers) are more art than craft, I wanted to include Speak, as it really demonstrates the healing power of creating things with one’s hands. Melinda, a high school freshman, was raped at a party over the summer prior to school starting. Due to this traumatic experience, she stops speaking much at all, and does not tell anyone what happened to her. Her friends have abandoned her, as she has become known as the one who called the police to break up the aforementioned party. Melinda’s grades drop precipitously and she increasingly isolates herself. It is in her art class that she begins to deal with her pain. Through mixed media projects involving the assemblage of found objects â€“ such as one involving a turkey bone and a Barbie head — she begins to look at her feelings about what she has survived. Her art teacher is the person that Melinda finally chooses to confide in. Into the Wild Nerd Yonder by Julie Halpern: The craft of choice of high school sophomore Jessie is sewing, skirts specifically. As a freshman she decided to start a business making and selling skirts using fabrics with unique patterns. 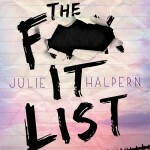 She also loves audiobooks — huge points to Julie Halpern! In Jessie’s personal life, things are changing rapidly. Her best friends Bizza and Char are becoming punk, at least in their style of dress, while her older brother is getting ready to leave for college. As a result, Jessie finds herself rather friendless. When a classmate invites her to hang out with the Dungeons and Dragons set, Jessie decides to go and finds that she actually enjoys herself, not to mention meets a guy who she really likes. Jessie’s new life forces her to confront the fear that hanging out with her new friends will cause others to see her as a â€œnerdâ€ and decide how she feels about this. Will and Whit by Laura Lee Gulledge: The protagonist of this graphic novel (2014 Top Ten Great Graphic Novels for Teens), Wilhelmina â€œWillâ€ Huckstep, enjoys making lamps from found objects. Her grandfather taught her how and she has been doing it ever since. Her lamp-making helps her combat her fear of the dark and the painful memories of her parents’ death in a car crash. Will has three friends who are also creative — Autumn, Noel and Reese â€“ and as summer ends in their mountain town, they together connect with a group of visiting performers through an art carnival. Whit, short for Whitney, is the storm that comes to town, causing a blackout and forcing Will to face her family tragedy without the help of her light-emitting creations. 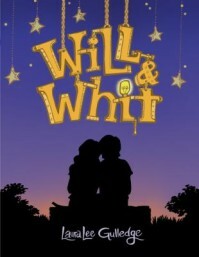 The author of Will and Whit, Laura Lee Gulledge, was nominated for an Eisner Award for her previous graphic novel, Page by Paige, and has worked in art education and other creative activities. I hope the craft guides and novels listed above will inspire you to make something yourself. Happy crafting this month… and anytime!